On October 22, 2014, UJA Federation of Greater Toronto and its beneficiary agency, Kehilla Residential Programme, were notified that a North York Retirement Home serving the GTA’s Jewish community was closing its doors on December 31 of that same year. The sudden news and short time frame left 23 residents of the Home, the majority of who have long-standing mental illness including depression, bipolar disease and schizophrenia, without housing. “Although this was a retirement home, what we discovered is that quite a number of the residents were under 60 living with challenges and inappropriately housed,” said Nancy Singer, Kehilla’s Executive Director. “There is a serious lack of supportive housing for this population that ends up in senior nursing/retirement facilities." UJA and Kehilla spearheaded the process, collaborating with multiple organizations including the Community Care Access Centre, Baycrest, the Bernard Betel Centre, Chai Tikvah, Circle of Care, Jewish Family & Child and Reena, to determine the best course of action needed to place the residents in the most appropriate housing given their physical and mental health issues, and with the intention to have as many live close to the GTA Jewish community. All 23 residents were successfully transitioned to alternate housing and care sites by December 30, 2014. 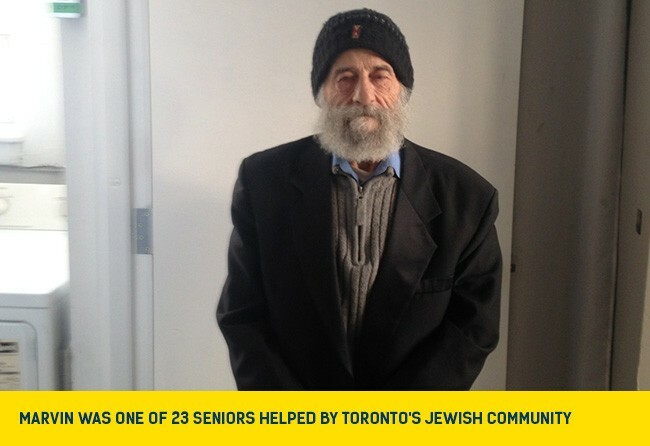 “This is an exceptional illustration of how Toronto's Jewish community agencies come together when necessary to make a significant impact on community members in need,” said Sandi Pelly, Director, Capacity Building for the Social Services at UJA Federation of Greater Toronto.